Imagine leaving your house for a night out or a vacation and not having to worry about a dark home susceptible to burglary. When sundown arrives, the lights automatically turn on. When you wake up in the mornings, your pathway to the kitchen is lit up, and you have the perfect brightness level for any occasion, automatically. Smart lighting can work with other automation products to signal events, like a flashing bedroom light when the front doorbell rings or an automatic illumination of the kitchen lights when the coffee pot kicks on. Automating your lighting can be as simple as installing a smart bulb with a hub or plug-in module and downloading the app, or as complex as changing out hard-wired lighting fixtures. 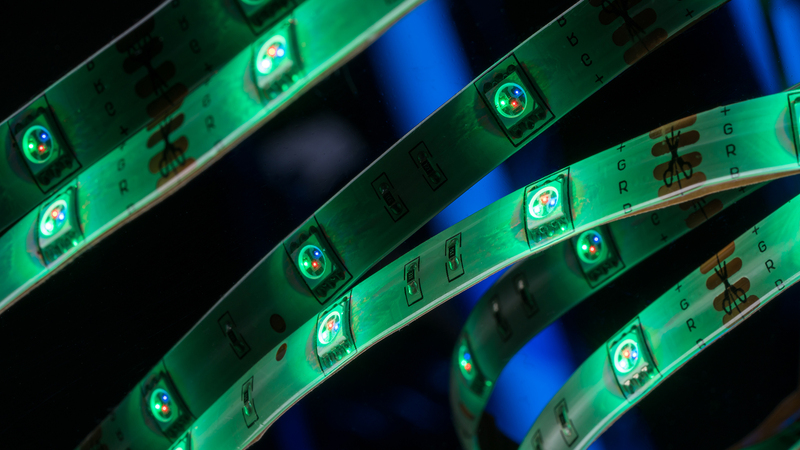 Smart lighting is the quickest way to start saving energy and money, with instant results. 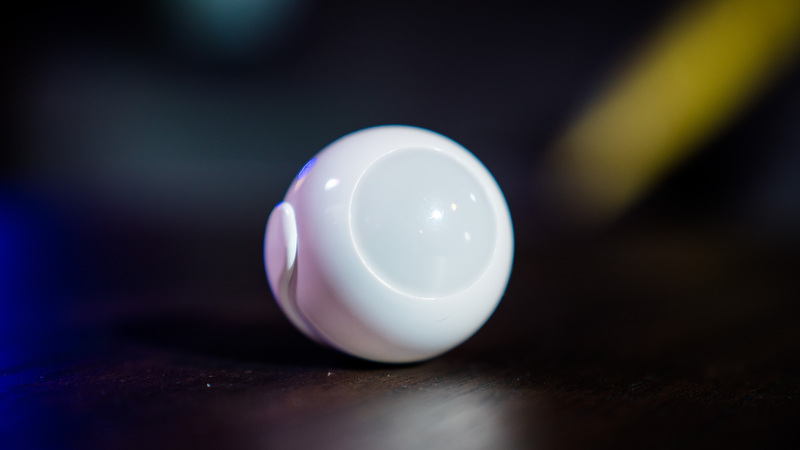 Smart sensors can detect a multitude of variables, from smoke and carbon monoxide to water, temperature change, ambient light, motion, sound, vibration, and more. These are highly customizable for your individual purpose, and offer great control over what matters most. Sensors can work as standalone items or pair with other smart devices, so a detected drop in ambient lighting could trigger specific interior lights to turn on, or a water leak detector can automatically shut off your home’s water main. Sensors come in all types and sizes, and most work best with an ecosystem of other products to fully take advantage of their capabilities. While dangerous chemical detectors have been around for years, the level of security you can get from a connected system today is unparalleled. Most sensors are simple plug-n-play setups where quick app pairing and implementation can get you up and running in no time, however there are more complex sensors that require professional installation for complicated functions. Hubs are often used to connect multiple automation devices together across protocols and functions to simplify control. Whether your devices operate on Zigbee, Wi-Fi, Bluetooth, Z-Wave, HomeKit, Insteon, or UPB, a hub can help link devices and make a more unified Smart Home. Many kits are simple plug-in modules that offer quick upgrades to existing hardware, which can turn regular products into smart ones. 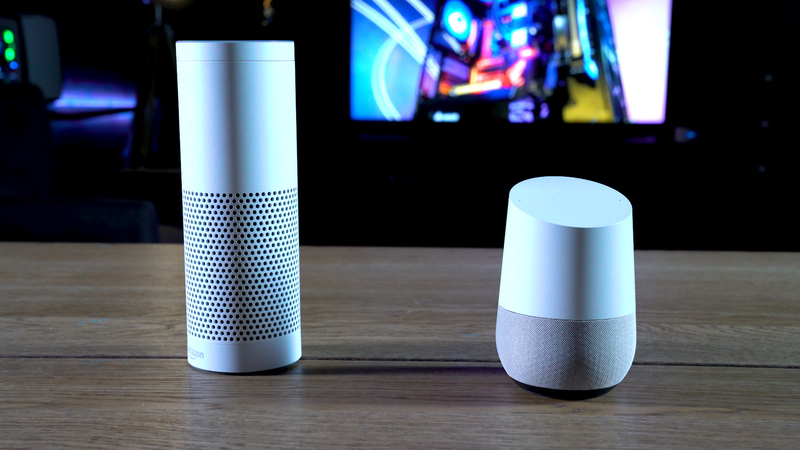 The rise of voice assistants like Google Assistant and Amazon Alexa offer a seamless way to control numerous devices with a phrase, this is where all the backend magic comes together — diming the lights, playing music, and turning up the temperature all without lifting a finger. The creation of a true Smart Home uses hubs and controllers to ensure your experience is as smooth as it can be, without needing to access a separate app for each object. The most popular aspect of all home automation, temperature control can be one of the biggest energy-saving Smart Home upgrades. 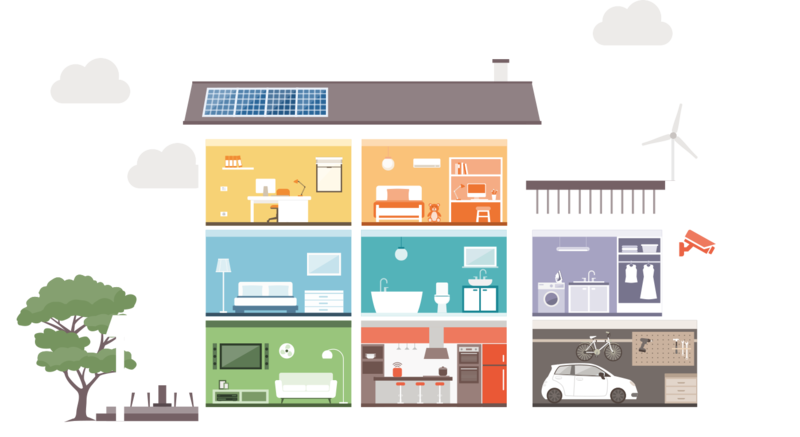 The average home’s electricity use is dominated by heating and cooling costs, which tend to be the most electrically inefficient of home systems, and Smart upgrades can help cut down on wasted energy. Smart thermostats can sometimes take a bit of knowledge to set up, as additional wiring may be necessary to retrofit older systems. The majority of applications are fairly straightforward with a limited install time. Getting home from a hot summer day to a hot house can be brutal, but keeping an empty house cool all day is wasteful. Many smart thermostats have geo-fencing capabilities, that can detect when you are near home to initiate a preferred temperature setting. 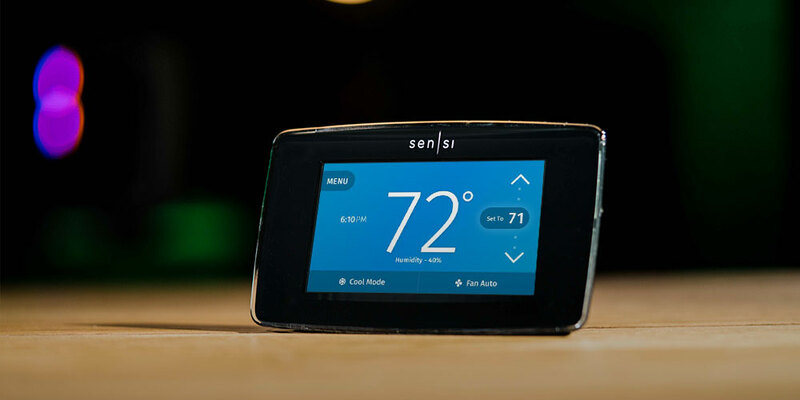 A big part of smart thermostats is their common ability to learn your schedule and temperature preferences, so you don’t have to ever worry about being comfortable at home. Surveillance systems have been popular for years, but never have they been as intuitive or comprehensive as they are today. 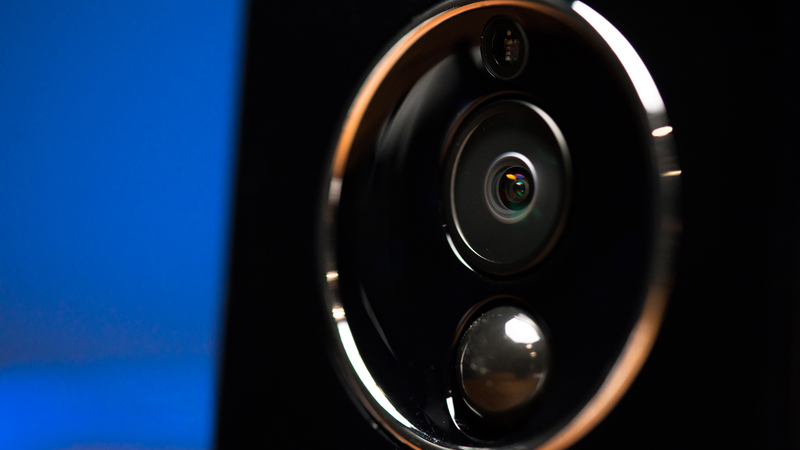 There are several factors to consider when building a smart surveillance system, such as camera quality, video coverage, storage capabilities, wired or wireless connectivity, indoor/outdoor applications, and more. Common features give you instant notifications to your mobile device when motion is detected, as well as a recording of the activity. Whether you have a family you want to keep watch over when you are away or if you just want to ensure your property is protected against burglary, having the security that comes with 24/7 eyes on what matters most to you makes a Smart Home a safe home. The security and peace of mind that comes with knowing your home is locked down tight, and getting alerts if something is out of place, cannot be taken for granted. Whether you are giving family members a digital code to temporarily access the house during holiday visits or keeping track of when your kids get home from school, increased insight and control when you aren’t home offers the flexibility to fit your unique lifestyle. Smart door locks often send notifications when a door is opened, and if biometrics or a code is used you can be alerted as to who is coming and going. 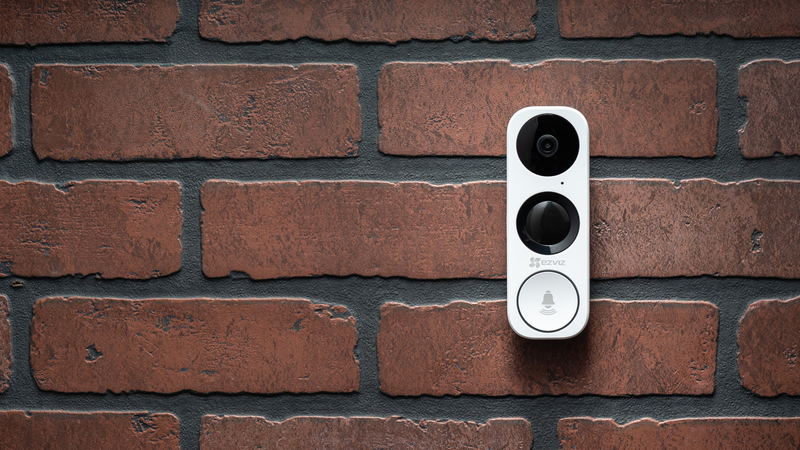 Some doorbell units capture video of visitors and transmit it to your mobile device for two-way communication, even when you aren’t home.